At the Street of Styles Graffiti Festival 2016, there was a Yellow wall. Even in a place so rich in colors, shapes and styles, this panel shouts. Over the Yellow, 5 artists. From São Paulo, MEDO and NIU. From Chile, SIIR, HERZ and ANTISA. Strong vibration that Yellow panel. 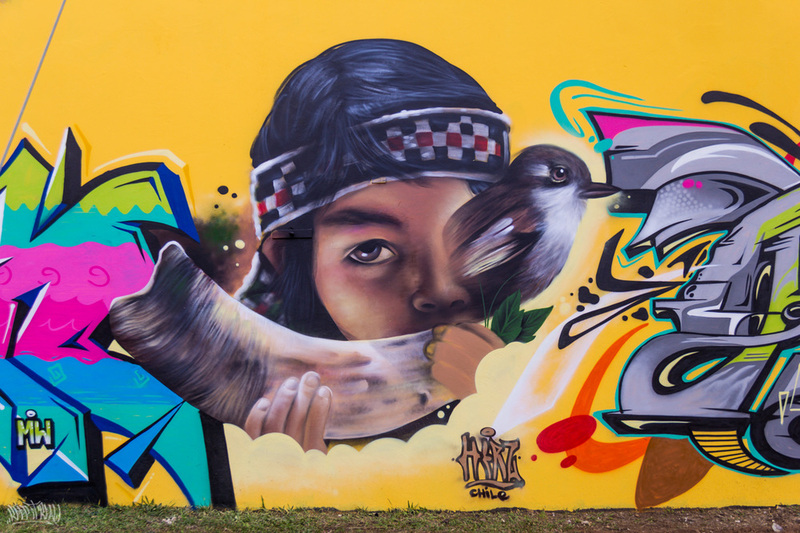 No Festival de Graffiti Street Of Styles 2016, havia uma parede Amarela. Mesmo num lugar tão rico em cores, formas e estilos, esse painel salta aos olhos. Sobre o Amarelo, 5 artistas. De São Paulo haviam MEDO e NIU. Do Chile, SIIR, HERZ e ANTISA. Vibração forte a desse painel Amarelo.